It seems that summer has well and truly arrived in NYC and restaurants have spilled out onto the pavements so people can enjoy eating outdoors. I'm not a fan of eating outside on the pavement, I don't like sitting by a busy road or watching dogs go to the loo while I eat! I had looked online to try and find restaurants with nice outdoor areas and came across the 'Boat Basin Cafe', so I thought I would give it a try. 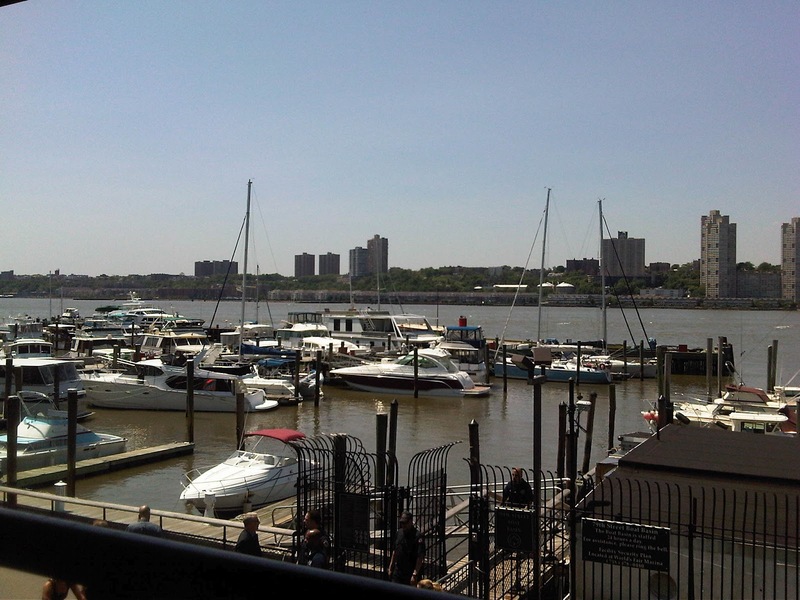 The 'Boat Basin Cafe' is located on West 79th street right by the Hudson River and you have to walk underneath the West Side Highway to get to the restaurant. I was pleasantly surprised when I got there, there was a lovely view of the marina and you could see across to New Jersey. We were seated on the outdoor patio, but there is an indoor section and another large outdoor area which turns into a bar in the evening. The servers were really friendly and came over straight away with water and menus. The menu consists of sandwiches, burgers, salads and bar snacks with a couple of fish dishes available. They also have daily specials. I got the chicken Cobb salad which was tasty, it was a good size and there was a decent amount of chicken, egg, avocado and cheese. One of my friends had the grilled chicken sandwich which also looked good and seemed to go down well. I thought the prices were reasonable, most of the sandwiches and burgers are around $10 and sides start at $2. It is a great spot to relax, there was no traffic and it was very quiet. I imagine it gets pretty busy at the weekends and in the evenings, and as you can't make reservations there might be a bit of a wait to get a table. 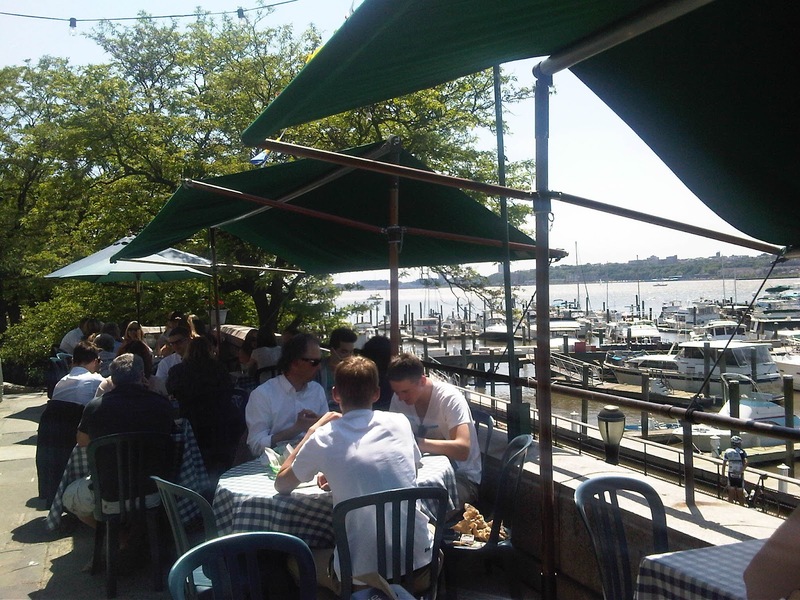 I really enjoyed my experience and will definitely be going back to the 'Boat Basin Cafe' over the summer. For more information check out their website at http://www.boatbasincafe.com/index.html.